DALLAS, GA — Residents of south Paulding County are being asked for help finding this lost pup. Thunder, or Thunderbolt, got away from his owners on a leash Tuesday in the Ridge Road area, specifically near Cochran Store Road. 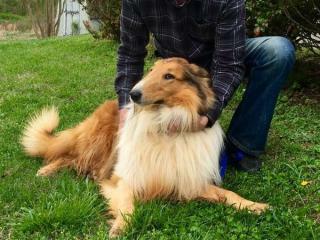 He's a three-year-old male, collie breed, who's sweet but shy and may run if a stranger tries to approach him. Commenters on a Paulding County Animal Control Facebook thread said they think Thunder was spotted Tuesday evening on Hudson Circle. Anyone with information about his whereabouts is asked to call 770-445-1511.